Khao national park has been millennia in the making, and the mist-cloaked Khao Sok jungle contains plants and animals both rare and beautiful. It is home to over 50 types of mammals, 300 bird species, and several endemic orchids and palm trees. It remains the best place to discover the most famous wildlife of the Thailand rainforest. 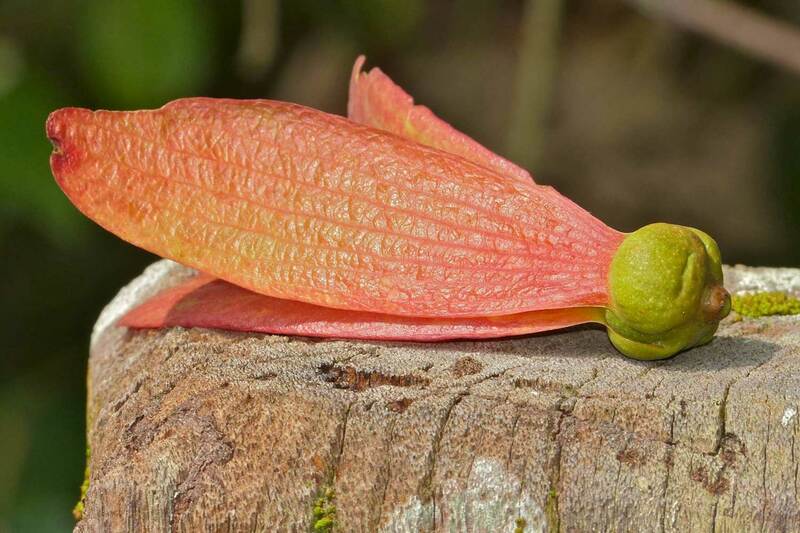 Experience wild elephants, great hornbills, and the massive rafflesia flower. Read on to learn more about these species, and many others that are found in the Khao Sok jungle. The great hornbill is one of the larger members of the hornbill family and lives in the Khao Sok jungle. The most prominent feature of this hornbill is the bright yellow and black casque on top of their massive bill. In the wild, their diets consist mainly of fruit. Figs are particularly important as a food source and they are plentiful in the Thailand rainforest. 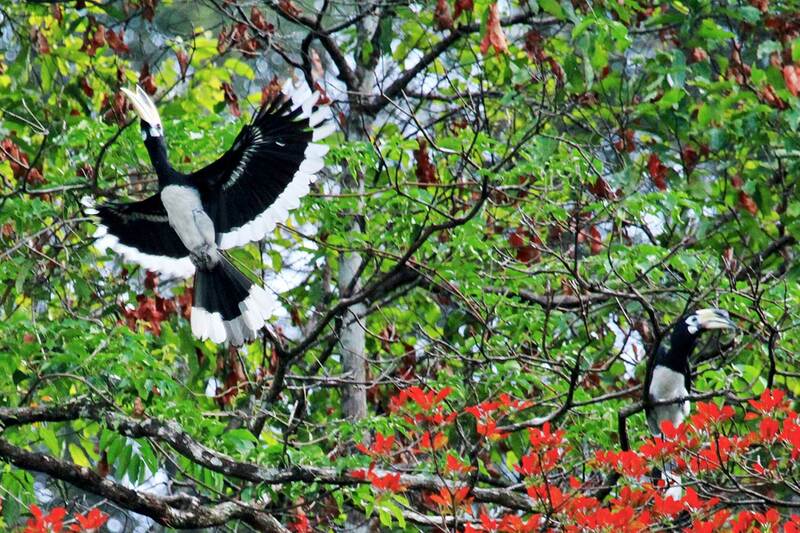 All hornbills form monogamous pair bonds and most live in small groups of 2-40 individuals. In Khao national park, female Great Hornbills have been recorded nesting in small cliff cavities (the only place they are recorded to do so). Hornbills are secondary cavity nesters, and typically do not excavate their own nesting sites. Instead, they use those created by other birds or by branches breaking off. When females have selected and entered their nest, they seal the cavity, leaving only a small opening through which food may be passed. Inside the sealed nest, the female cares for the nestlings, while outside, the male brings food to the opening. 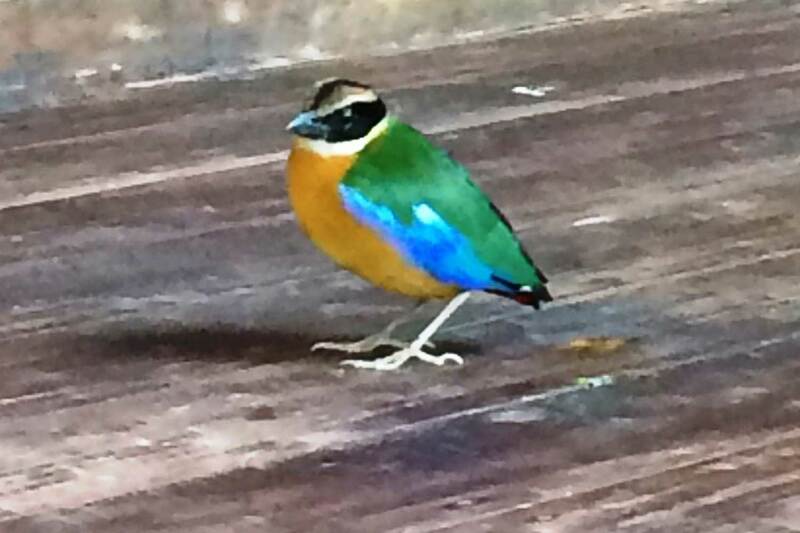 The blue-winged pitta is a colorful songbird found in Australia and South East Asia as well as in the Khao Sok jungle. Its head is black, the chin white, with a buff body. Its wings are blue, and the tip of the tail is a deep violet-blue color. It is commonly found in the cane-break forest and near the river. Pittas build messy-looking orb-like nests, usually on the ground. The nests are situated between tree roots and are always close to a water source. Both male and female will incubate the eggs and subsequently take care of the offspring. 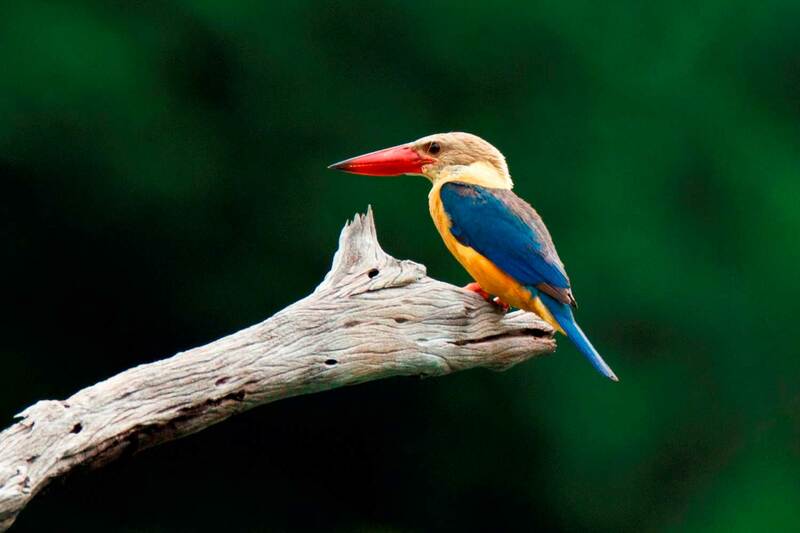 Khao Sok national park is home to 12 types of Kingfisher. You can often see them along the river, perched on branches above the streams in the Thailand rainforest. The species can vary in color, some being the classical bright blues, others like the Ruddy Kingfisher are rusty red in color. Kingfishers eat a mix of insect, fish, frogs, and freshwater crabs. Fun fact: the brilliant blue color of the kingfisher’s feathers doesn’t result from pigments. Actually, it is a result of the special structure of its feathers, which reflect only blue light. The grey-breasted spiderhunter is bright olive green above, and paler olive-greyish below. It has narrow dark streaks on its throat and chest. They are most likely to be seen alone or in a pair, foraging in the lower story of the Thailand rainforest, particularly around banana plants. Spiderhunters build well camouflaged nests, which are enclosed and suspended in trees or shrubs – often spider webs are used as construction material. The female lays up to four eggs and both male and female will take care of the offspring. See if you can see them as you trek through the Khao Sok jungle. 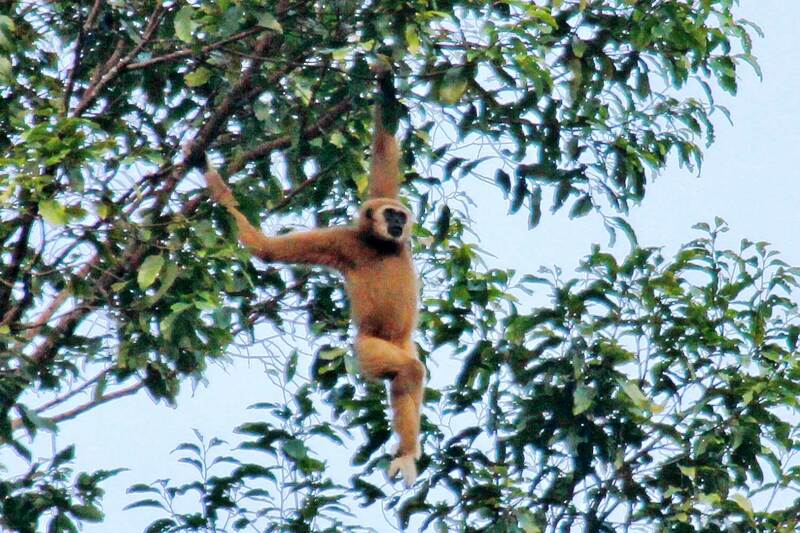 The gibbon spends most of its life high in the canopy, and as a result they are rarely seen. However, it is common to hear its song: a beautiful series of rising and falling whoops. Gibbons sing as a means of communication with their mate and offspring, and also to mark their territory. It is a common misconception that Gibbons are monkeys, when in fact they are members of the ape family, and thus lack a tail. Their long limbs allow them to brachiate – a unique way of swinging between tree branches. Unlike most primates, who simply jump between branches, a gibbon can swing at speeds up to 35 mph! They can travel as far as 30 feet in one swing. The best place to see and hear these amazing animals in is at Cheow Larn lake! 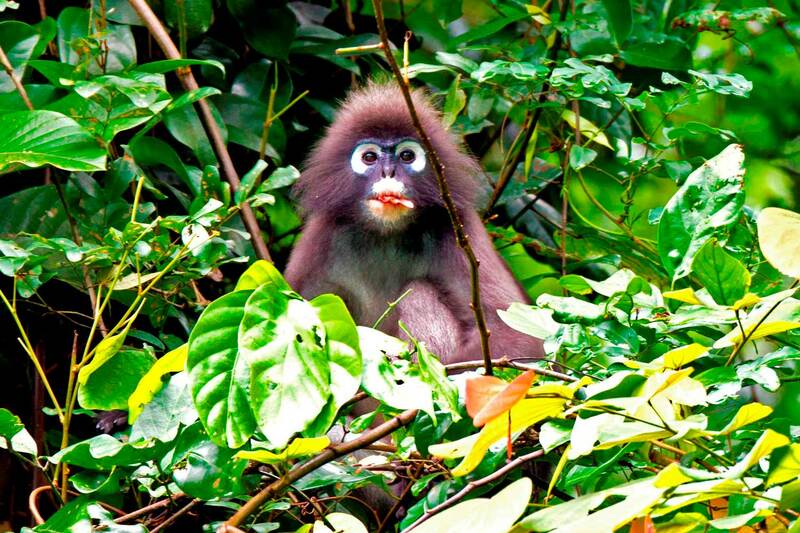 The Spectacled Langur, is one of the monkeys most commonly found in Khao National Park. It is also known as a Leaf Monkey. Their very long tail makes it easy to differentiate langurs from other monkey species living in the same area. They are often seen in treetops in the early morning or late afternoon, feasting on fresh leaves and fruit. More than half of what langurs eat is leaves. The rest of their diet is made up of various fruits, seeds and flowers. It is quite surprising that Spectacled Langur newborns are bright orange in color! When they are about 3 months old their color starts changing to grey. Young females stay with their group for their whole life. Males leave at an age of 2-3 years. 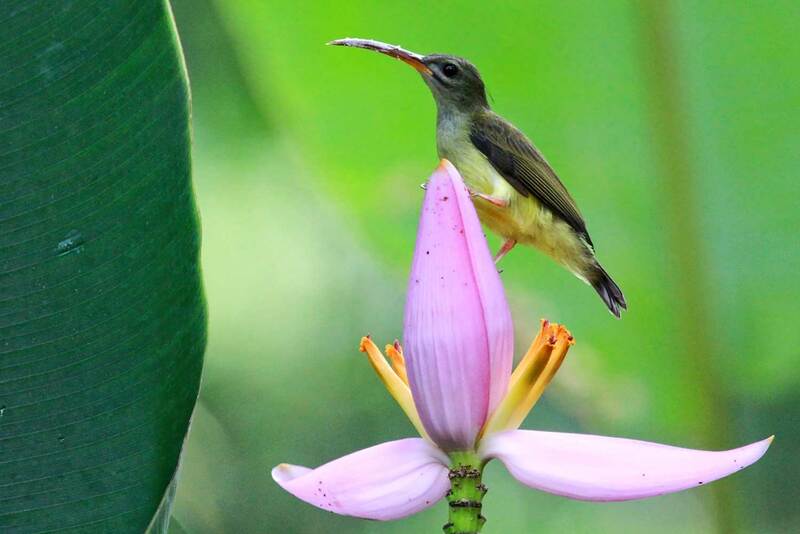 Keep your eyes open for them in the Khao Sok jungle. 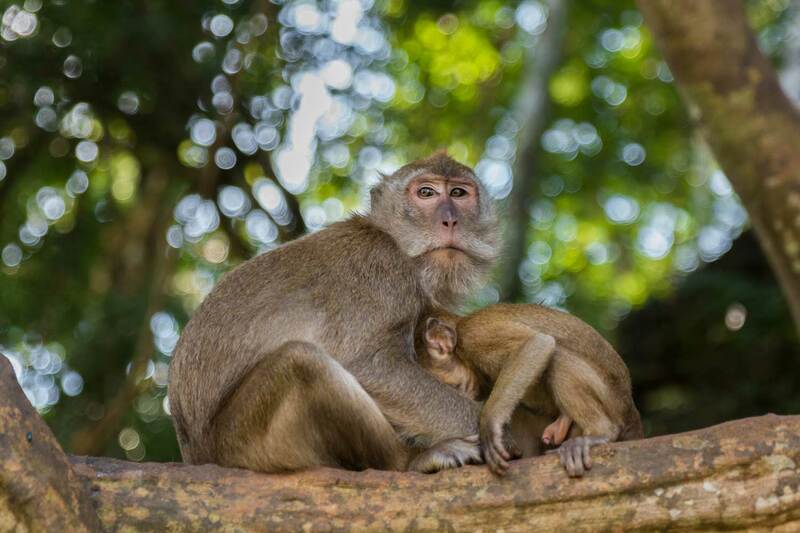 Long-tailed macaques are the most common monkeys you will see around Khao national park. Macaques are light grey to brown in color, and form troops of 5-25 individuals. They are not shy and are found in many places. Two other species, the pig-tailed macaque and the stump-tailed macaque, are found deeper in the Thailand rainforest. These species can be quite aggressive, so do not approach if you meet them while hiking. Macaques are opportunistic omnivores and their diet includes plant materials such as fruits, berries, seeds, leaves, grass, herbs and shrubs, as well as insects and eggs and even birds and rodents. 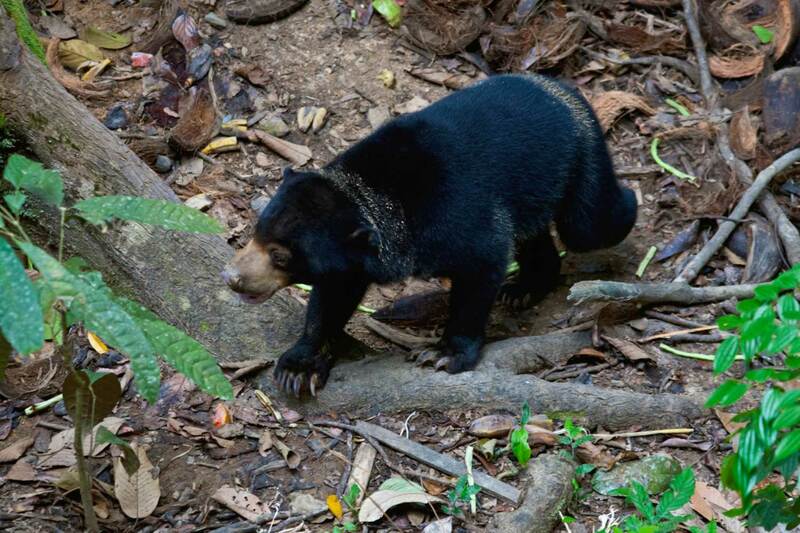 Despite being the smallest bear in the world, Malayan Sun Bears have no natural predators outside humans. Since their bile is used in Chinese medicine, they were and still are hunted quite heavily. A keen sense of smell helps Sun Bears locate food, as they have poor eyesight. Sun Bears sport short, black fur with a pale orange/yellow horseshoe shape on the chest. The ears are small and round in shape. The diet of the Sun Bear varies widely and includes small vertebrates in addition to vegetarian options. Their powerful jaws can crack open coconuts. The Sun Bear also possesses a very long, slender tongue, ranging from 20 to 25 cm (8 to 10 inches) in length, which it uses to eat insects and honey. As the world’s largest land animal, the elephant also holds the record for longest nose on earth. Asian elephants, are smaller than their African counterparts, as they inhabit a more forested habitat in the Thailand rainforest. They are social animals and stay in herds of up to several hundred. Herds are usually made up of only female elephants, including calves of both sexes. The oldest female of the herd, a.k.a. the matriarch, is the leader of the herd. Elephants are herbivores and eat anything green, using their sensitive trunk to find shoots, fruits, and other jungle delicacies. An elephant must consume between 5 and 10 percent of its body weight in food, and up to 200 liters of water per day! They still live wild in the Khao Sok jungle. The Tapir is a large, strange looking animal that resembles a cross between a pig and an elephant. 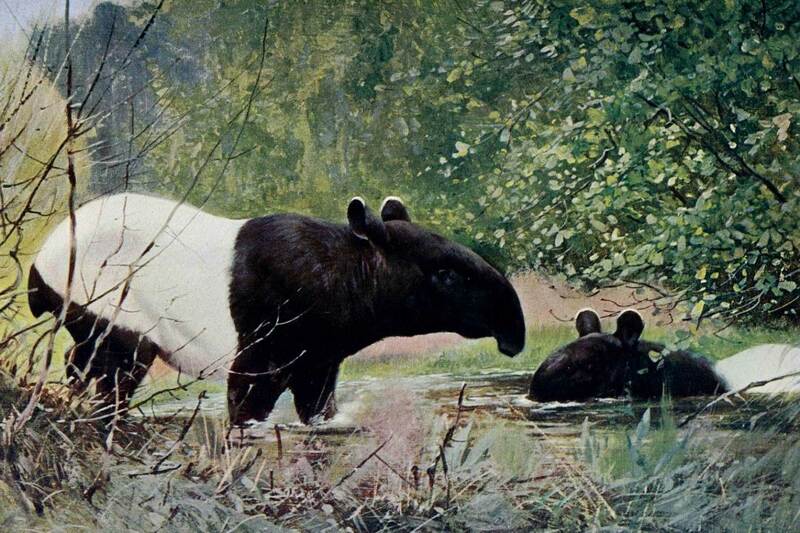 Tapirs are black in the front and at the rear, with a white section in the middle. They are considered endangered. Tapirs can mostly be found in tropical lowland and highland rainforests where there is a permanent supply of water. Tapirs not only like to swim but can also dive! They let themselves sink, and will then walk around the bottom of a river, using their snout as a snorkel. Tapirs spend their day hiding in the forests. 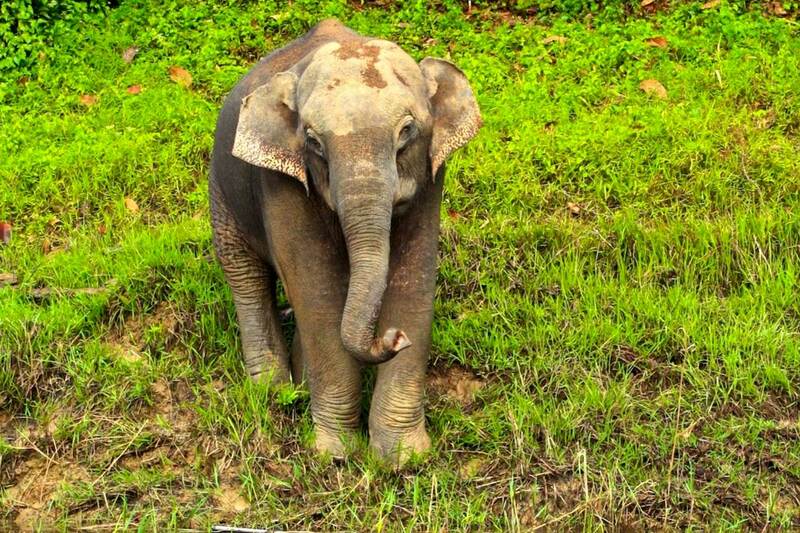 They love the twilight and night hours and come out of the forests then for food and water. 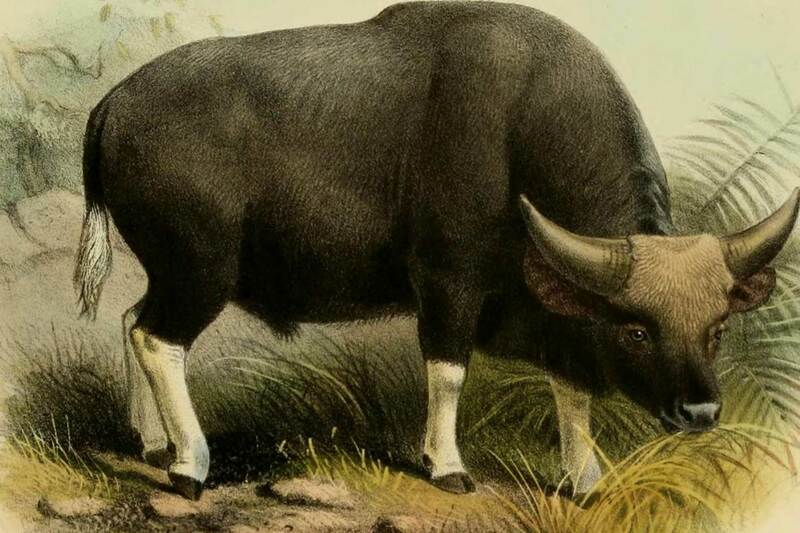 The gaur is an impressive wild buffalo with thick curved horns and distinctive white feet and ankles which look just like socks. It weighs over a ton and can grow longer than 3 meters and higher than 2 meters. This makes it one of the biggest land animals on our planet! Gaur graze and browse through forest areas and live in small groups of 8 to 11 individuals. The oldest female, called matriarch, will lead the group. The best place to see Gaur in Khao national park is at Cheow Larn Lake. 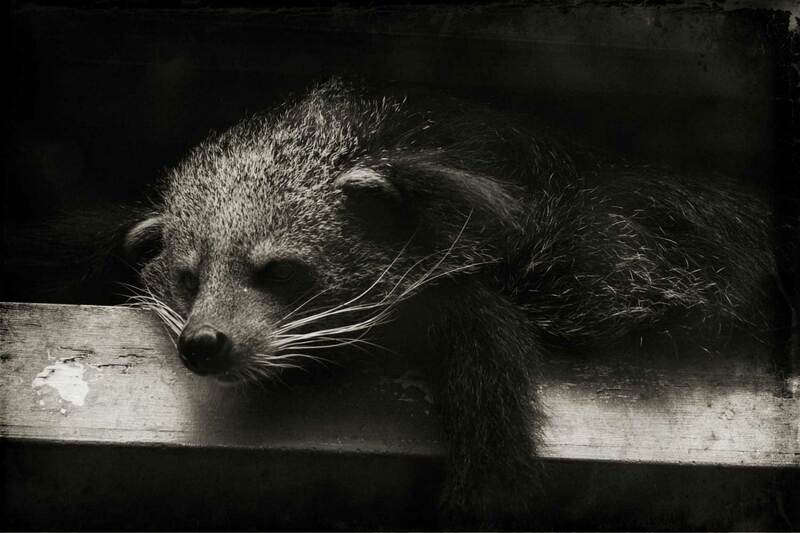 Binturongs are part of the civet cat family, scientifically known as Viverridae. They are cats, but actually look more like bears, hence their second name ‘bearcats’. Their body is long with relatively short legs, and their fur consists of thick, black hair. They have a long tail that helps them balance when climbing. Binturongs are very shy, which makes it extremely difficult to spot them in the Khao Sok jungle. They can be active during the day and also during the night. Pangolins are mammals belonging to the order of Pholidota. Unlike other mammals, they don’t have hair all over their body. Instead they have hard scales made out of keratin that serve as a defense from predators. 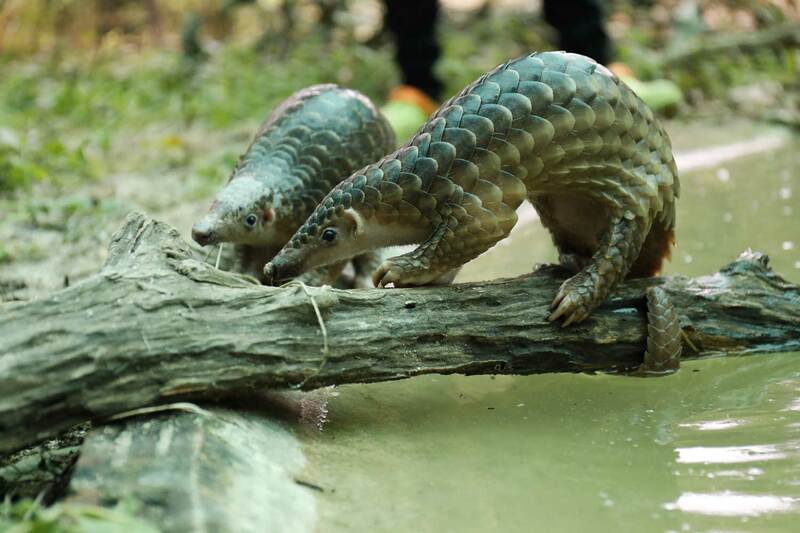 Pangolins are nocturnal and don’t have very good eye sight but rely on a keen sense of smell. The pangolin is an insectivore and its diet consists of ants and termites. Luckily they are plentiful in the Thailand rainforest. The pangolin’s long flexible tongue (up to 40cm) can slurp up ants and termites from inside their nests. With fully grown adults being just the size of a rabbit, the mouse deer is one of the smallest hoofed animals on Earth. The fur of the mouse deer is mainly reddish-brown, with white markings on the neck. Sadly, mouse deer are heavily hunted as a local game meat in the Thailand rainforest. 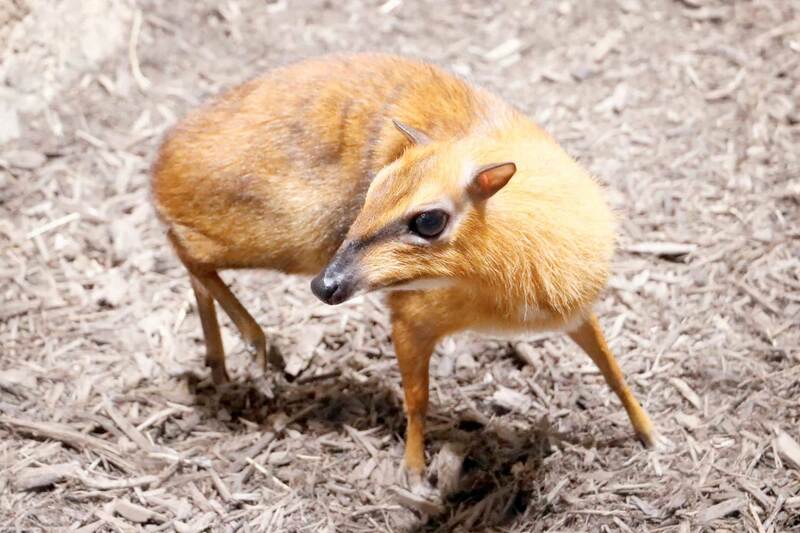 Fun fact: Female mouse deer spend most of their life pregnant, being able to become pregnant again a mere 1.5 hours after giving birth! Whether Tigers can still be found in Khao national park is a question that is debated by the Khao Sok jungle guides, park rangers, and the occasional raft-house owner. 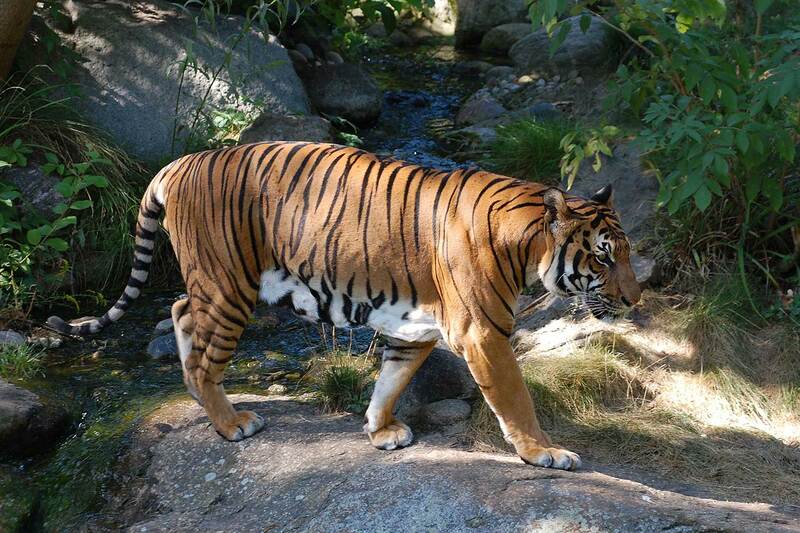 There have been no recent sightings of these big cats. It is therefore highly unlikely that any but the most determined and well-funded expeditions will have a chance to glimpse one of these animals. 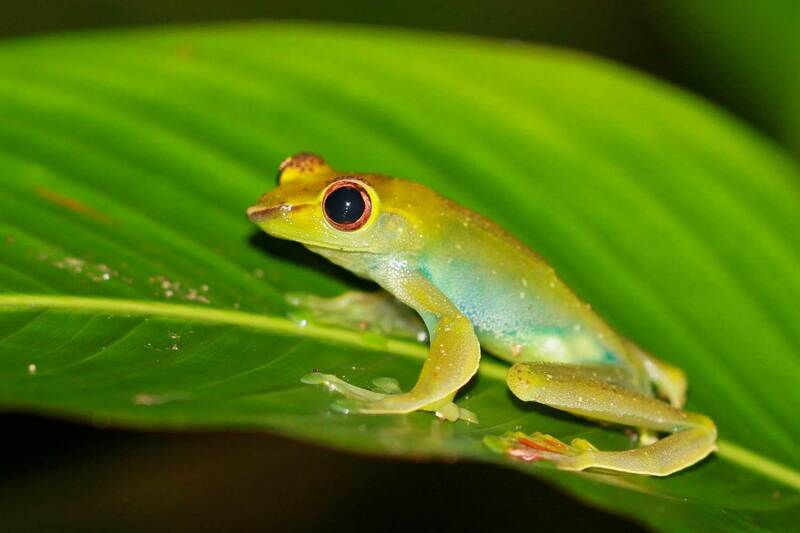 The Khao Sok jungle is home to a wide range of reptile and amphibian species. Although snakes are often feared in Thailand, lethal bites are very rare, with only 10 to 20 cases in Thailand per year. Still it is advisable to not walk around in the dark without a torch, as most snakes are active at night. If you encounter a snake, stand still and wait for it to move away. If a snake bites you, apply a pressure bandage, remain as still as possible, try to take a picture of the snake, and get to a hospital. The Common tree frog, also called Fourlined tree frog or Golden Tree frog, is widely spread around Southeast Asia. This cute little frog’s habitat is near ponds and waterways, where it can be found hopping from tree to tree, using long legs to jump and sticky footpads to land. Tree frogs are carnivores, feeding on all kinds of spiders, worms, insects, and even small lizards. They tend to be nocturnal but may come out in a rainstorm in search of food. You should be able to spot one in the khao Sok jungle. There are 4 different species of monitor lizard in Khao Sok nationalpark: the Bengal, Dumeril’s, rough-necked and the Asian Water Monitor. 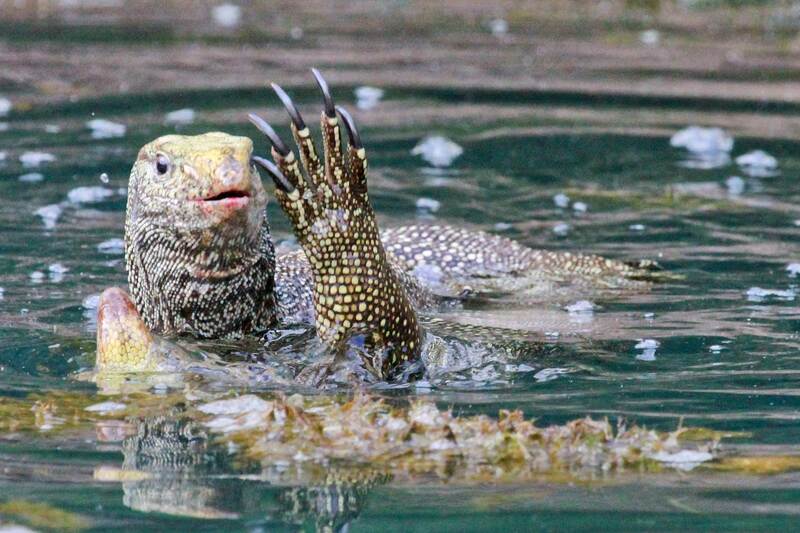 The Asian Water Monitor is found widely distributed over South and Southeast Asia. Their diet is almost strictly carnivorous. They eat almost anything that is smaller than them and anything that they can overcome. In the northeast of Thailand, they are considered a delicacy. Pythons are nonvenomous constrictor snakes, which wrap their long bodies around their prey and gradually squeeze the breath out of them. They are capable of unhinging their jaws and swallowing prey much larger than would seem possible. They are the longest snakes in the world, with one individual reaching a recorded length of 10m (33 feet). 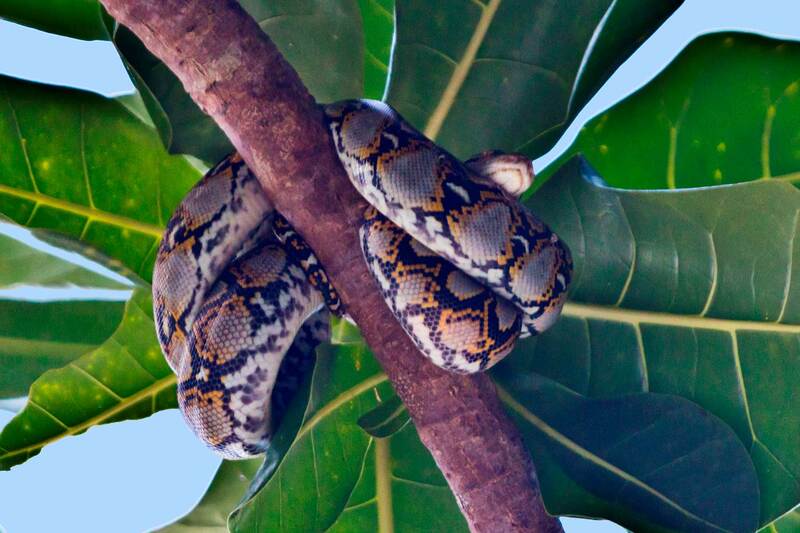 Hunting from trees in the Thailand rainforest, pythons ambush then asphyxiate their prey. As pythons grow, so does their ability to eat larger animals, starting with rodents and ending with pigs, goats, and even humans. While there are many sounds in Khao national park, one of the loudest is the shrill humming call of the cicada. Only the males of the species make such a loud noise, which is used to attract females. Cicadas spend most of their lifecycle underground as a wingless insect. 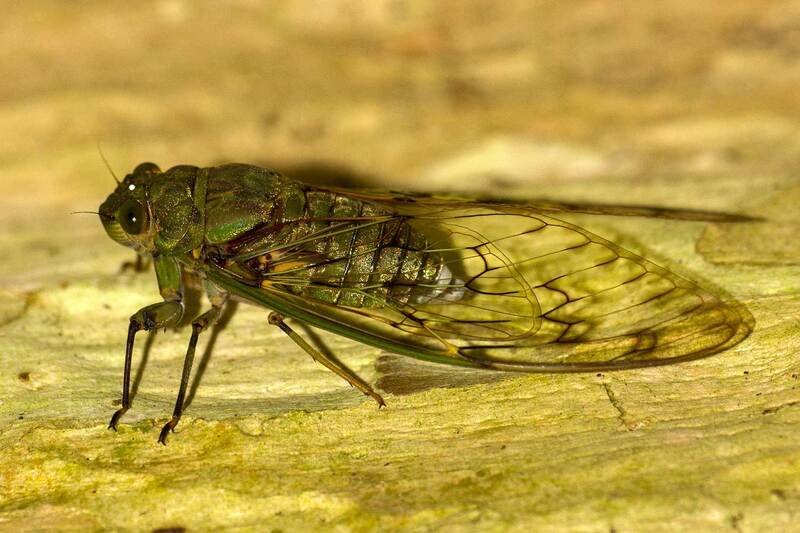 After anywhere between 1 and 17 years, cicadas emerge from the ground, climb up a tree, and grow two wings. Adult cicadas only live for a few days or weeks and die shortly after mating. 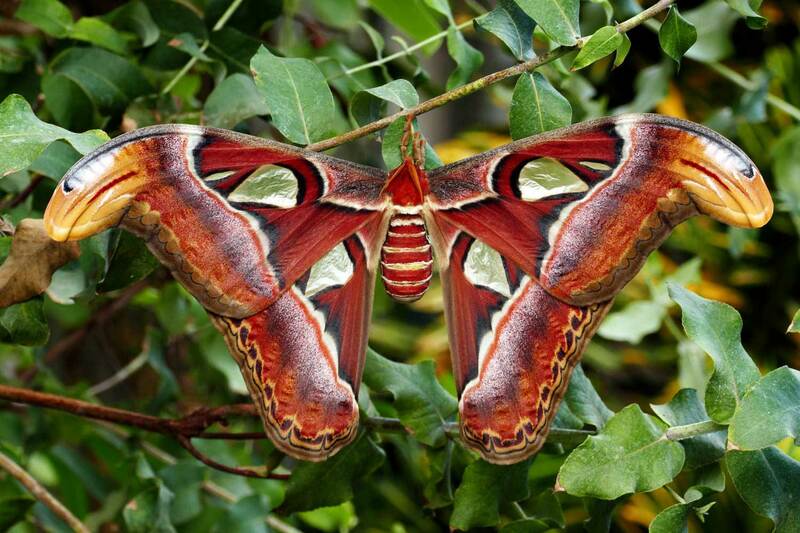 With a surface area of 400 square centimetres (65 square inches), the Atlas Moth has the largest wings of all moths. Its wingspan is also amongst the largest, varying from 25 to 30 cm (10 to 12 inches). Atlas moths never eat. Atlas moths can’t actually eat, as they do not have fully formed mouth parts. During the 1 to 2 weeks they spend as adults, they survive entirely on fat reserves which they build up as caterpillars. 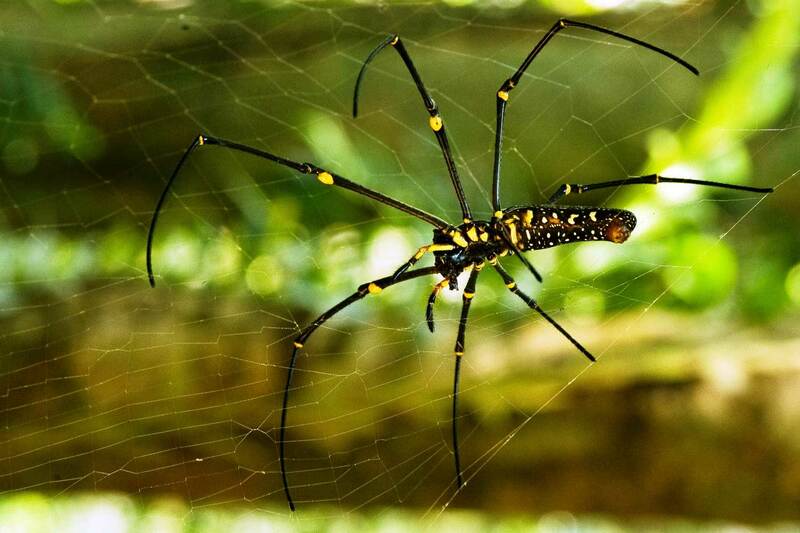 Golden orb weaver spiders get their name from the color of their web, which shimmers golden yellow. The actual spider is not golden, but black with yellow spots on its back. Female golden orb weavers are about 15 cm long including their legs. Males are much smaller, less than 1 cm long. The webs of this spider can be huge – some span up to 2 meters! The varied colors and slender body shape of mantises make them masters of camouflage. In the wild, mantises live for just under a year. They eat mostly aphids and flies, but larger mantises have been observed eating snakes, fogs, and birds. Mantises catch their prey and hold it with a tight grasp between their spiked forelegs. 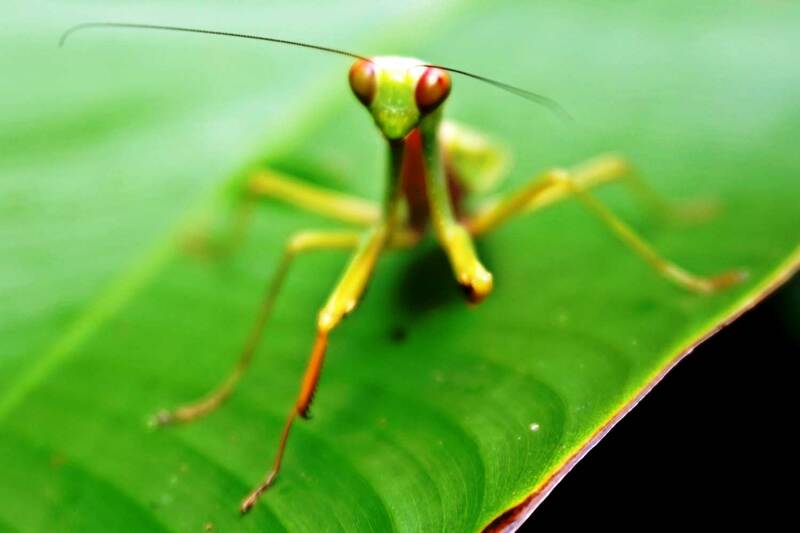 Mantises have only one ear, positioned next to their hind legs, which they use to echolocate predators such as flying bats. The geological conditions, high rainfall, and limestone karst formations of Khao Sok national park have contributed to the emergence of distinctive forest types and unique plant species. Giant thickets of bamboo, massive buttress roots, dipterocarp trees with propeller seeds, and the massive Rafflesia flower await. 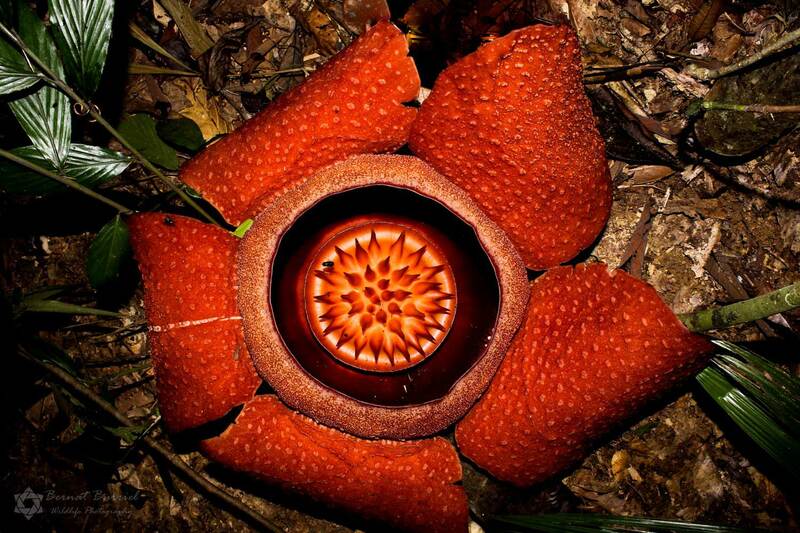 Rafflesia are the largest flowers in the world and some species can grow up to 90cm in diameter and weigh over 7 kg! The species found in Khao Sok is Rafflesia kerrii and is slightly smaller than its record-holding cousin Rafflesia arnoldi in Sumatra. The flowers are bright red with white spots, and exude a strong, unattractive smell. The rotting stench serves to attract flies, which are the main pollinators of this jungle giant. Rafflesias are parasites, growing only on the wild grape vine Tetrastigma. Rafflesias flower seasonally, and the best time to see them in Khao Sok national park is from December to March. Tropical Pitcher Plants are carnivorous plants which prey on insects. Pitcher plants are climbing plants that can reach a height of about 15 m. Pitcher plants have two different kinds of pitchers: lower pitchers at ground level and upper pitchers above the ground. Both are filled with a liquid designed to drown and dissolve prey. The edges of the pitchers are smooth, slippery, and often brightly colored. There is a lid above the pitcher, which prevents rain from getting in, possibly flooding it and helping prey to escape. 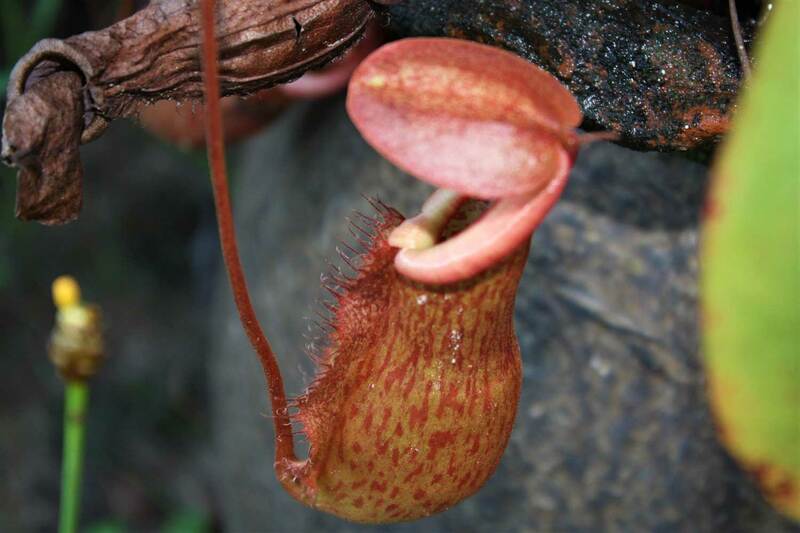 Pitcher plants in the Thailand rainforest attract prey with their fragrant smell, bright colors and delicious nectar. You will find that there are around 40 species of bamboo in Thailand. It is extremely strong and has the same tensile strength as steel. 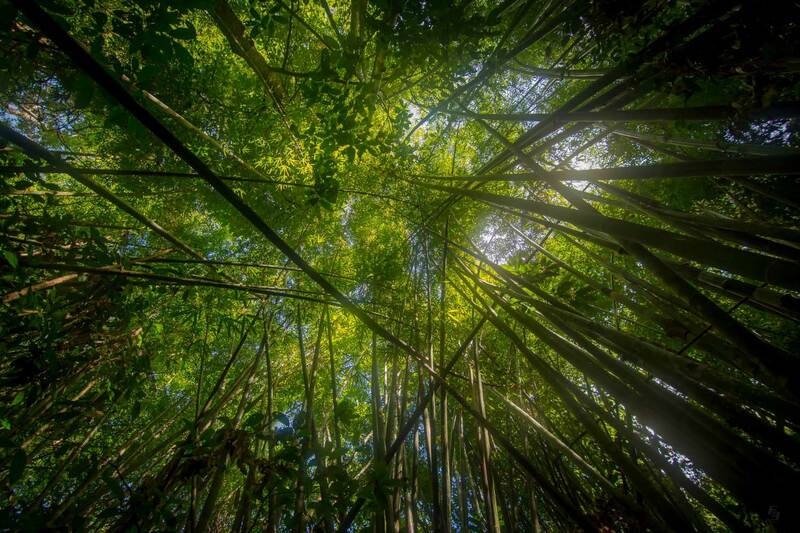 Bamboo is the fastest growing plant on Earth, with one species growing up to one meter per day! It is an important part of forest habitats, acting as pioneer species, and rapidly creating and retaining humus-rich soils. Bamboo stands start to grow from seeds. They then develop new shoots through rhizomes, which are underground shoots that do not require fertilisation. These stands then expand in circles, sometimes with the central core dying out. There are about 500 species of Dipterocarp trees, and we find more than 60 species/sub species in the Thailand rainforest. The name Dipterocarp means ‘fruit with two wings’. Due to these two ‘wings’, fruits are capable of gliding/spiraling away from the parent tree. Dipterocarps can grow between 40 and 70 meters in height with trunk diameters in excess of 2 meters. Despite their height, their roots are not deep in the ground, but form and interlocking web through the shallow tropical topsoil. There are about 2500 species of lianas in the world, coming in various shapes and sizes. ‘Liana’ is not a taxonomic group, but refers to a group of plants which grow in a particular manner. There are two major functional groups: those which start life rooted in the soil and use other trees to gain height, and those which start off life in the canopy and drop roots down to the ground. While niether type is considered a parasite, trees without lianas can grow faster because they have more exposure to sunlight. Lianas also serve a aerial bridges between trees, serving as a pathway for animals and insects. Yellow, red and orange ripe figs are one of the most important food sources in the rainforest. The pollination process for figs is dependent on wasps. These wasps bore into the center of the unripe fruit of the fig tree, which is technically a flower. The wasps use the fruit/flower as a place to lay and germinate their eggs. In the process, they facilitate pollination of the fig tree. The eggs hatch with half of them resulting in males and the other half females. Eventually these wasps mate and the males drill a tunnel out so the females can leave. They then fly to the next fig tree, starting the cycle all over again. 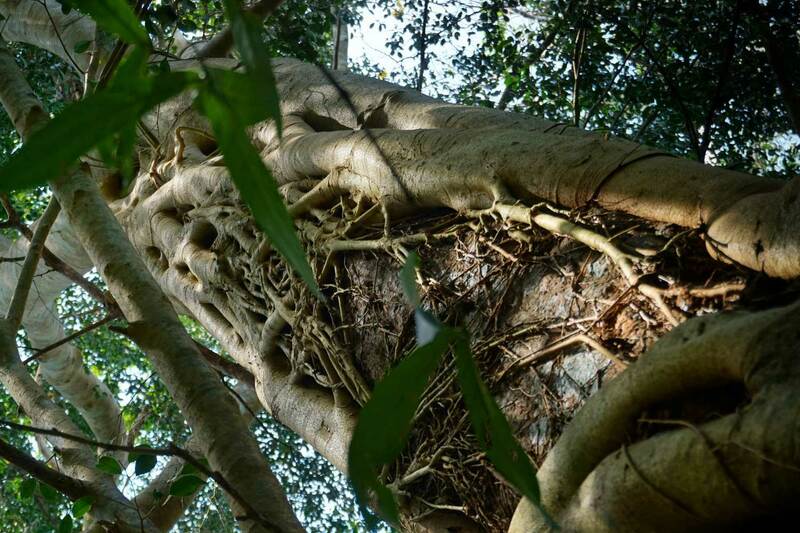 Another fascinating oddity in Khao national park ecology is the strangler fig. 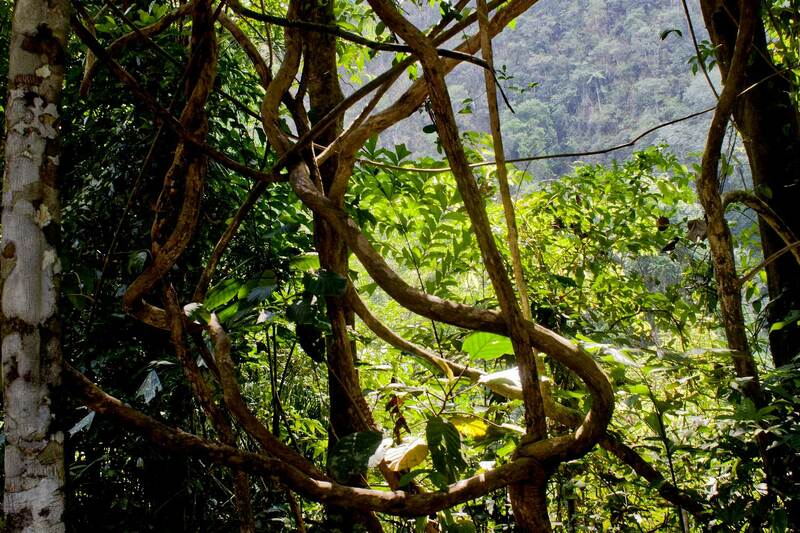 While the strangler fig may look like a tree, it is actually a vine. When animals pass the seed and it falls on a host tree, it eventually sends fast-growing roots to the ground. After many years, these roots encircle the host tree. The host then dies and rots away, leaving a tunnel in the middle of the mature strangler fig.